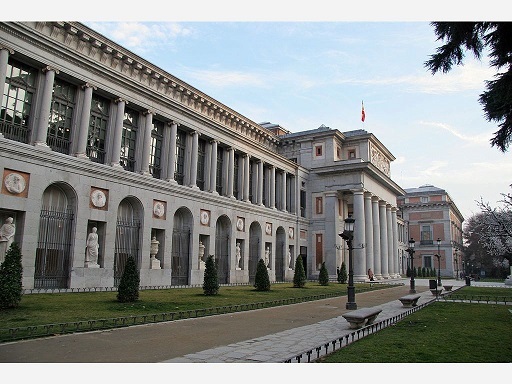 If you are planning to visit Madrid and you are interested in art in general, I would personally recommend you to visit “El Museo del Prado”. It is one the most important museums we have in Spain as it has a great and amazing collection of paintings from all sort of styles and ages. Despite the fact that I haven’t had the opportunity to go recently, during my last time there I was truly impressed… I just couldn’t believe I was having the opportunity to see all those pieces of art in one place: Velazquez, Ribera… Increible! At the time I was studying history of art at the Valencia University and these visits were the perfect opportunity for me to see in reality what I was studying. I was extremely happy, extremely happy! In the last days I have been following the museum’s activities on twitter and youtube and it is regularly posting videos and photos that will make you think about art from a different perspective to the one you might now. It is worth to check them and follow them.